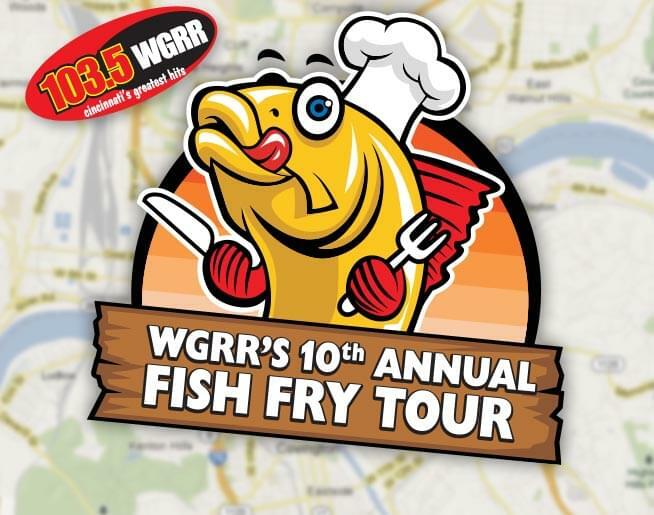 It’s the 10th annual 103.5 WGRR Tri-State Fish Fry World Tour of the tri state on NOW! The WGRR Tri-State Fish Fry World Tour will visit fish fries every Friday during the Lenten season! Stop in for great food, the good word and maybe score a Fish Fry Tour t-shirt thanks to QueenCityTees.com! The WGRR Tri-State Fish Fry World Tour thanks to St. Vincent de Paul, Neighbors helping neighbors and Frisch’s Big Boy with Cincinnati’s greatest hits, 103.5 WGRR!